This post is going to be a bit different. This post was asked for by my Insta-Stories tribe! I was recently playing with the new QUESTION feature on Instagram and did a Q&A. One question I was sent was: "What is your favorite TV Show"? My answer was that - "I don't own a TV. I didn't have a real interest in TV because I grew up on a boat and did not have a TV." Well, that touched off a ton of questions about growing up and living on a boat. 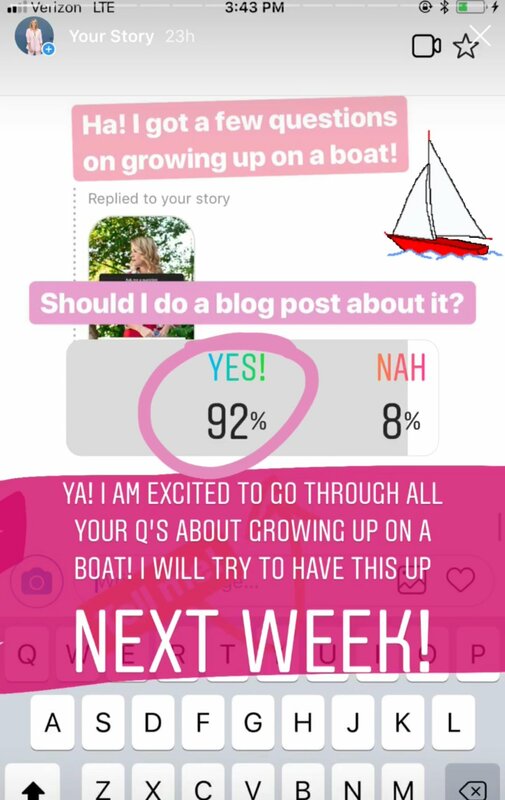 I asked my Insta-Stories tribe if they would like me to do a blog post about living on a boat and 92% of them said YES! I asked them to submit questions they had and I would answer them in this blog post - which brings us full circle! I am sharing what it was like to grow up on a boat and answering all the questions. My dad is the sailor in the family. Sailing around the world has always been a dream of his. He even told my mom on their first date that his dream was to get a boat and sail around the world! In 1992, when i was 6, my parents packed up the house, left their jobs in corporate America and took my 2 brothers, my sister and I, and left the United States. At the time - it was not common to drop your life in the US, pull your kids out of school and set sail. But that is exactly what my parents did. A lot of people thought my parents were crazy. But my mom always said the best thing they could ever give us was "their time". She was right. Mom's almost always are, huh? My childhood had very unconventional elements. When we left on the boat trip in 1992, there were no iPhones for communication. The internet was barely around at that time. When we were out on the open seas - we were on our own. There were no stores out in the ocean - no Targets or Safeway's to stop at for food or toiletries. What we ate is what we caught from the sea and what fruit or vegetables we could find on the islands. That meant a LOT of fish on the menu and canned food. When it rained you always stood outside with a bucket so we could catch and store the fresh water. No water taste as good as fresh rainwater from a tropical storm. Part of our science lessons was learning how to navigate by the sun and stars with a sextant. We were always on the go to new places and meeting new people. We sailed across the Pacific stopping in countries like Fiji, Tonga, American Soma, Bora Bora, New Zealand, Vanuatu and Australia. For over 2 years we sailed and explored the South Pacific. We met so many different people, families, sailors, and boats along the way. We came back to the States when I was about 8 years old. Q: How did you go to school? I was homeschooled by my mom and my dad. My dad handled math and science. My mom handled reading, writing and everything else. There was a lot of 'Hooked on Phonics' books! Let me know what you thought of this post in the comments below? Loving this! What a cutie! Wow, this was really so interesting! I’m sure that makes for an amazing childhood story and not to mention the memories! WOW sounds like you had an interesting childhood! That’s so cool you and your family traveled on a boat! this is such a cool story! how unique! do you ever plan to have your own boat? What an amazing story! What a unique way to have some of your childhood, and amazing memories! I need to know that South of France move! First off let me say that I really love Instagram’s new question feature. Second, you grew up in a boat? Wow!!! That’s amazing! I mean the adventure and the traveling. You had a wonderful childhood! Oh my gosh how cute were you?!?! I love this! whoaaaa that is so cool that you grew up on a boat! such a different upbringing from most. love your outfit too darling! I love this post! This was so interesting to read! Love how you are able to connect with your followers like that! Really cute memories! Love this stories <3 PS. When I saw your outfit I was like… How clever!! Never thought of creating something like that but you pulled it off really nice. What an incredible experience and gift that your parents gave you and your siblings!! I don’t think I ever read a personal account of someone growing up living on a boat so this was certainly an interesting read. In this age, I can’t imagine a family deciding to do what yours did – nowadays people are minding their own business lesser and lesser and paying too much attention to what others do! Your childhood sounded downright fun and as unorthodox as it is, I’m sure it tremendously shaped you as the person you are today – and to live in France, too! PS: I love how you layer the red silk dress on top of the t-shirt! What a wonderful experience for you and your family! An amazing and rich childhood! It seems like you enjoyed a lot of hands on learning experiences, looking back how do you feel about being homeschooled? What an amazing childhood you had! I lived on a very tiny sailboat briefly in my early 20’s, though it never sailed anywhere and was basically the world’s smallest floating apartment. 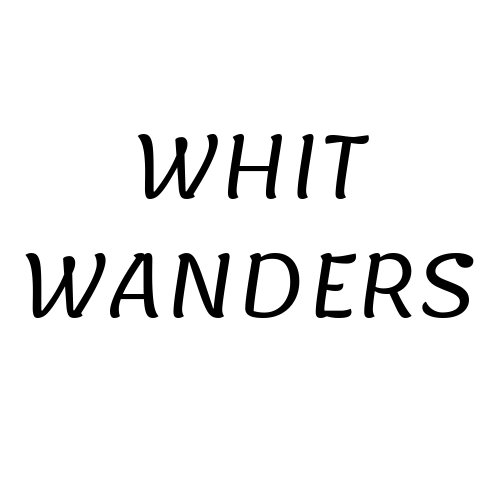 Loved it, loved the people I met around the docks, and would live on a boat again in a heartbeat… especially if it went somewhere. Thank you for the sweet comment! We met some many people! It was a very fun way to grow-up and see the world!